The Baha’i Holy Days fall on the following days of the Badi Calendar: Naw-Ruz, 1 Baha; the Festival of Ridvan, 13 Jalal to 5 Jamal; the Declaration of the Bab, 8 Azamat; the Ascension of Baha’u’llah, 13 Azamat; the Martyrdom of the Bab, 17 Rahmat; the Day of the Covenant, 4 Qawl; and the Ascension of Abdu’l-Baha, 6 Qawl. These dates are fixed within the calendar and do not move – in other words, the Declaration of the Bab will always be joyously celebrated on 8 Azamat. In contrast, there are Holy Days that move according to the movements of the moon. These Holy Days are the Birth of the Bab and the Birth of Baha’u’llah – which are also known as “The Twin Holy Days”. Beginning next year, they will be celebrated around the world in succession after the 8th new moon following Naw Ruz. Up until this point, the Baha’is in the West observed these Holy Days according to the Gregorian calendar on October 20th and November 12th respectively and the Baha’is in the East celebrated them on the 1st and 2nd day of the Muslim month of Muharram. Beginning next year, we will all celebrate these special events at the same time. 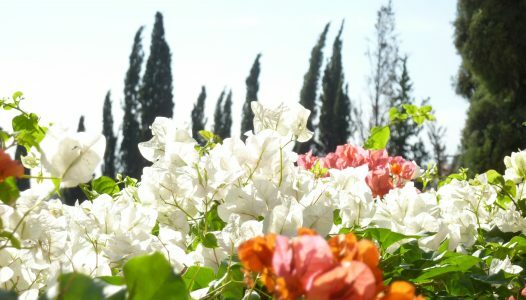 We have decided that Tihran, the birthplace of the Abha Beauty, will be the spot on the earth that will serve as the standard for determining, by means of astronomical computations from reliable sources, the moment of the vernal equinox in the northern hemisphere and thereby the day of Naw-Ruz for the Baha’i world. Up until now, the Badi Calendar has been temporarily tethered to the Gregorian calendar and all of its months have been fixed. With this exciting legislation, the Badi Calendar will begin with the astronomically accurate vernal equinox, the first day of spring, and the entire year will be celebrated accordingly. * The above text explaining the Badi calendar is taken from both the Baha’i Library Online [‘The First Kull-i-Shay of the Baha’i Era‘ by Arjen Bolhuis, 1999] and bahaiblog.net. For comprehensive information about the Baha’i Faith visit http://www.bahai.org.